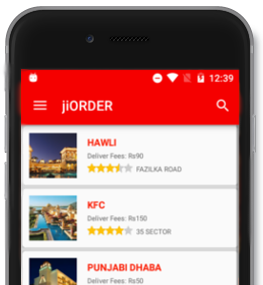 jiORDER - Order your favourite food anytime, anywhere. Mouth watering season is Here! Order your favourite food at any place. We are a global online food ordering marketplace, with a focus on emerging markets. The jiOrder group is the leading online food delivery marketplace in emerging markets. It enables restaurants to become visible in the online and mobile world and provides them with an industry leading software and technology to generate additional demand. The Best Food Ordering App! Download our free iOS and Android App and Food orders online as fast as possible.